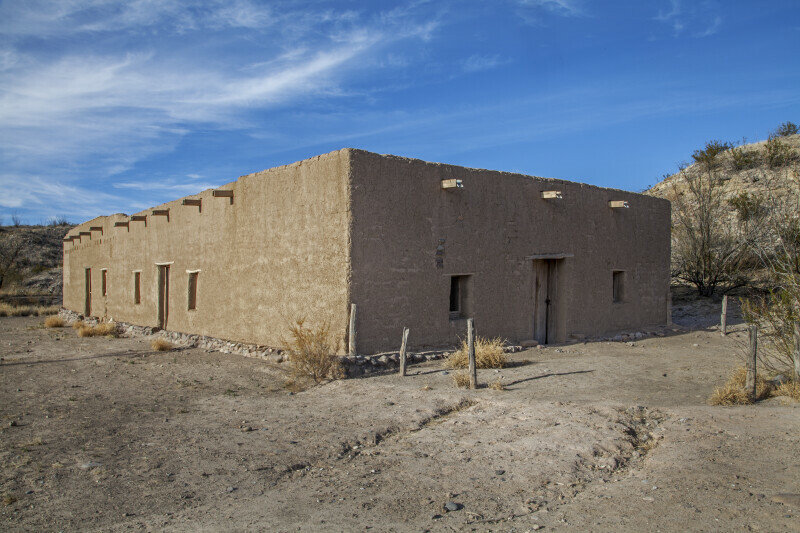 Pictured is the Alvino House, the Big Bend Park's oldest surviving adobe structure. The beams which support the ceiling can be seen jutting out from the side of the building. The sky is wildly blue overhead.